‘I'll put you in my diary!' comedian Kenneth Williams was known to threaten on occasion, although tantalisingly he kept the journal to himself during his lifetime. Here at last, in one spellbinding volume, are four million words of it. For more than forty years, from his sixteenth birthday until the eve of his unexpected death in 1988, the beloved actor and outrageous ‘Carry On' star Kenneth Williams kept a candid diary. Devastatingly honest about himself, he is equally unsparing in his verdicts on his fellow man. In his descriptions of Tony Hancock, Maggie Smith, Joe Orton and countless others, his waspish sense of humour, love of anecdote and ear for dialogue are given full rein. 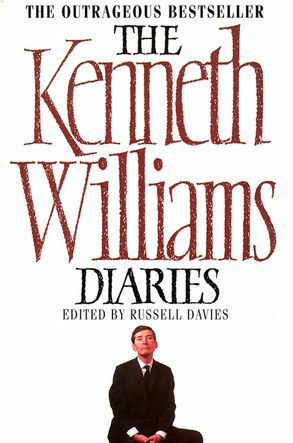 Malicious, hilarious and harrowing, ‘The Kenneth Williams Diaries' are a unique portrait of one of Britain's most popular – and most misunderstood – performers. Russell Davies, editor of ‘The Kenneth Williams Diaries’, is a journalist and broadcaster who has worked as a newspaper columnist and critic and presented numerous programmes on BBC Radio. He is also the editor of ‘The Kenneth Williams Letters’.